MicroSummary: Entrepreneurs suffer. It was not enough to struggle to get the first customers and start scaling, there was yet another problem. Generally, advice given to startups tends to contain generalities full of keywords, and this makes it easy for us to get lost in an ocean of endless advice. 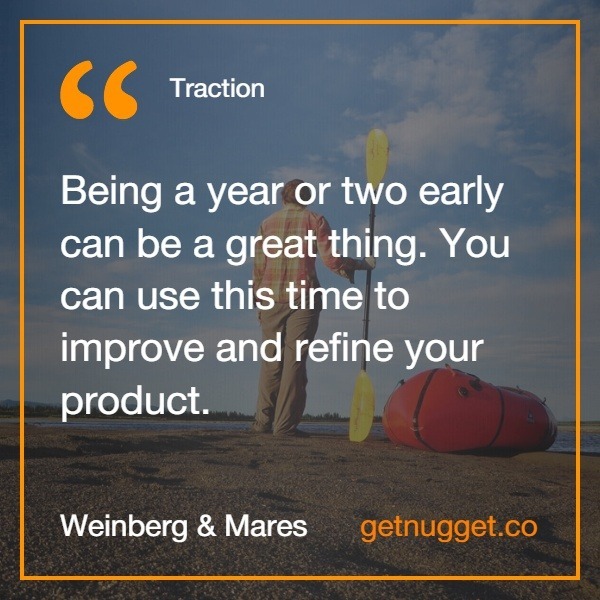 In Traction, Gabriel Weinberg and Justin Mares share their practical experiences on how to really grow a business. To make a startup grow, what is more, important than the product itself is knowing how to reach out to customers. Distribution is everything, and this is the subject addressed in the book. Traction goes through some customer acquisition channels and helps you choose the best ones for your business. Do not miss this microbook based on the original book. Let’s go? If you have a startup, what matters most is getting to the customers. You need to master acquisition channels and thus prove the real growth of your business. Many beginner entrepreneurs believe that a good product sells itself. Unfortunately, this is not true. You need consistent growth. You need traction. You need a systematic approach, a method to keep growing and each time attracting more customers. Do not blindly repeat the techniques and tactics adopted by other companies. Do not make ads or just create a blog because other companies are creating it. If you keep trying to grow without a clear strategy, you will end up broke, with no money and no users. The method and plan are as important as the growth itself, and that is what Gabriel Weinberg and Justin Mares bring us in Traction. 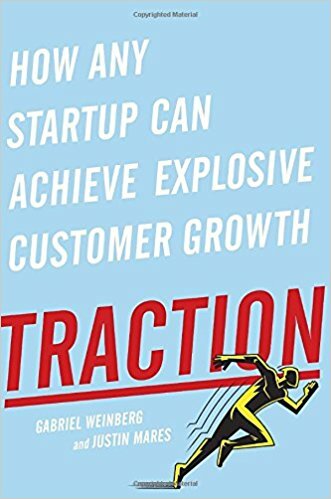 Traction means you can acquire new customers in a predictable and scalable way. Imagine that you have launched a product and are beginning to acquire users. Growth is coming slowly, but it is difficult to control. These are initial signs of traction. Your traction is measured by an indicator whose goal is to help you scale and scale your business. If you sell to businesses (B2B) for example, the first large contracts closed can be a traction indicator. 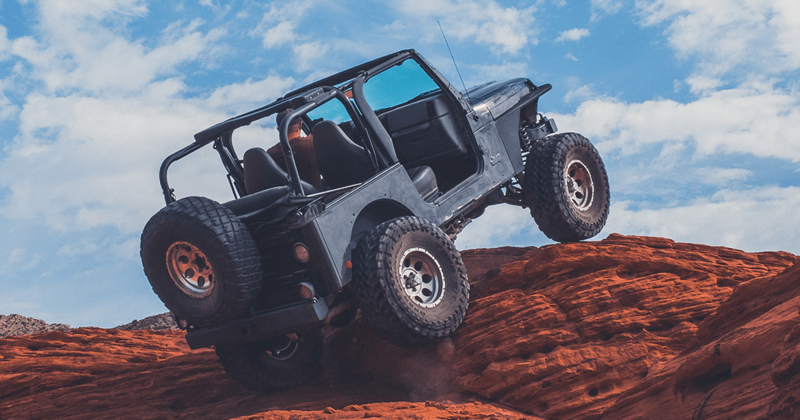 If your focus is on reaching the end consumer, traction can mean having to acquire thousands or hundreds of thousands of users. Your traction should be measured by a clear, easy-to-follow indicator that should always be pointing up and to the right, after all, a startup exists to grow and traction. There are dozens of channels and strategies adopted by companies to grow and you, as an entrepreneur, need to know how to prioritize them. Only constant experiments and a lot of effort will tell you which ones are best for your startup. In this micro book, we will explore the 19 channels of customer acquisition most commonly used by startups from around the world. Having a great product without a traction strategy is a common mistake, and every entrepreneur needs to avoid it. In a startup, customer acquisition must always be played in parallel with the development of the product itself. You cannot expect your product to be ready to go. You need to divide your time between product development and demand generation for it. Dedicate 50% of your time to the product itself and focus the remaining 50% on making sure your product is reaching users. To have traction, you need a product that people enjoy, but without traction, you will not be able to know if people really like your product. That is why it is essential that both go hand in hand. Growing a startup is challenging, and they all start with slow growth. In the beginning, you need to do things that do not scale, and that is extremely manual. After this phase, the company begins to have a more consistent growth, associated with the discovery of a first associated channel. When this channel becomes saturated, growth slows down, and it is time to find new channels. Therefore, Gabriel and Justin propose a method of channel discovery called the Bullseye framework. For startups, at different times in their life cycle, different channels need to be used. The Bullseye framework helps the entrepreneur find the right channel for a company as it stands. Medium Ring: It represents the channels where the startup is likely to succeed. At this stage, you need to run simple, low-cost tests that are capable of answering the following questions. How much does it cost to acquire a customer through this channel? How many customers are available on this channel? Are the right customers for the company available on this channel? Bullseye: It represents the channels that are working right now. The entrepreneur must always focus on the main channel and, at each stage of the business, there is a channel that should receive more attention, after all, it brings the majority of customers. Gabriel suggests that you always focus on one channel at a time. By focusing on multiple channels, the effort of the entrepreneur (who already has few resources) is diluted, and this makes the company have multiple acquisition channels malfunctioning, without optimization. By focusing on only one, it is possible to optimize that channel to the maximum until its saturation, so that other channels can be prioritized. 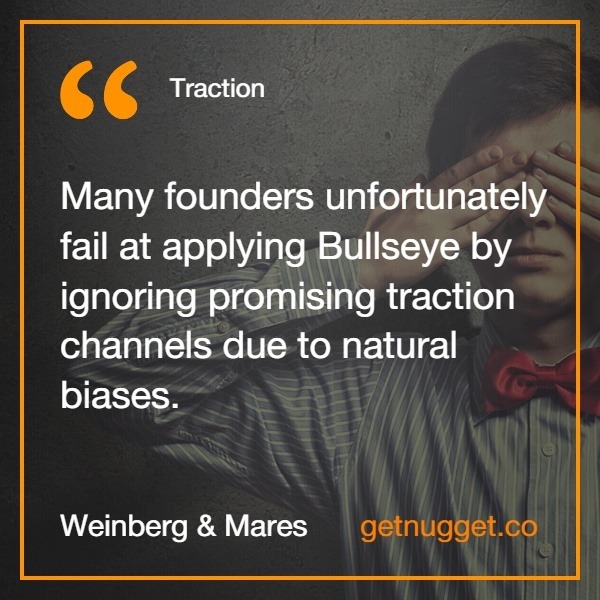 To achieve traction, you need to use the Bullseye framework to identify the channels most likely to bring growth to a startup. That is done through continuous testing. Select the channels in the middle of the Bullseye, and do little experiments to see if those channels are really promising and deserve more investment. Try, for example, buying ads on Google and find out if that channel’s return on investment is profitable for your business. The tests should always focus on validating the profitability of that channel and also on discovering what works and what doesn’t, after all, you can have multiple strategies on the same channel. Discovery tests are meant to help you find new strategies for that channel. Once the channel works, it is moved to the center, and you should do optimization testing. For example, if Google ads are working, you can test different ads, different landing pages, or even different keywords to improve your performance further. Optimization tests are focused on improving the performance of that channel. If the channel works, you should always look for new strategies to optimize performance, after all, channels become saturated over time, and you can not be surprised when this happens. So you must always be testing new strategies and channels to ensure that you are in control of your growth. To measure the success of your channels, you need to have the right tools, always collecting data about the users that came from each channel. Do not start your experiments without reliable tools like Google Analytics or Mixpanel ready to measure the return of your channel experiments. Create spreadsheets to track your performance by channel, always measuring and documenting your conversion rates from users to customers, the cost of acquiring that channel and the value of the customer throughout their life cycle for your company. This worksheet helps you know if you are going in the right direction and how your channels are performing. Also, you need to have traction goals. A traction goal, for example, would be to reach 1,000 paying users in a given month. All your efforts should be aligned with your traction goal and choosing the right goal is very important. If you pursue new registered users, you will have a completely different result than if your goal is new paying users. Set your goals and focus on the channels that will take you to this goal in the smallest possible way. Viral marketing consists of growing your user and customer base, encouraging your customers to recommend/invite other customers. In the book, the authors interviewed marketing expert Andrew Chen to find commonly used viral strategies. 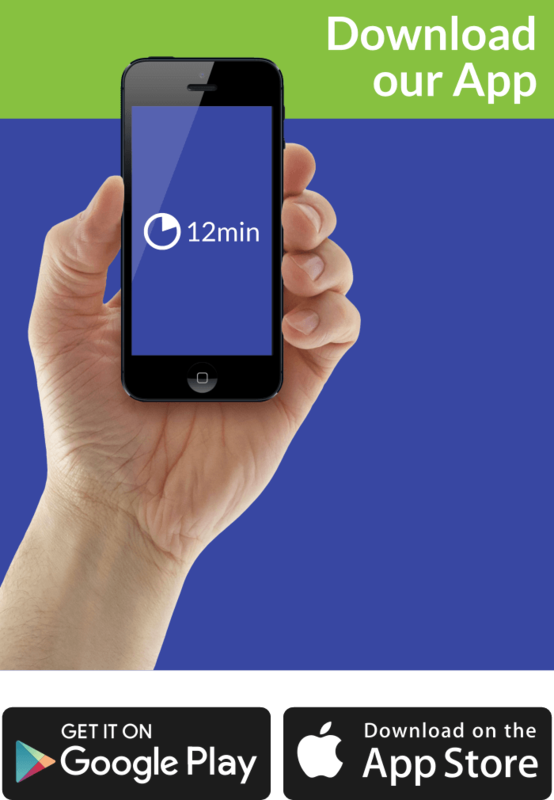 For him, a startup becomes viral when a user brings at least one more user to use its product. If each user can bring in new users, this creates exponential growth. Viral growth is hard to become sustainable, but it is the force behind some of the fastest growing companies in history, such as Facebook, Twitter, and WhatsApp. A Public Relations (PR) strategy refers to when the company manages to control the media message about it efficiently and profitably. The goal is to achieve broad media coverage, including newspapers, TV, and magazines, and thus attract new users and customers. Many startups start thus, seeking to leave the major channels on their market and thus catch the attention of the audience of that publication. To get the press’s attention, you need to give them a good story, facts that make it worth talking about. For example, reaching a certain number of users or releasing a new version of your product may attract the interest of journalists and thus increase their visibility. When done in an unconventional way, a PR strategy can produce even greater results. Do you know when Red Bull sends a parachute into space? That’s what we’re talking about. You can do marketing stunts that catch the press’ attention, and this makes the media groups want to talk about you. You can also create viral videos about your product or service, and if you can get people interested in your videos on YouTube, a publication might be interested in talking with you. Another way to use public relations in an unconventional way is by encouraging your clients to talk about you. That can be controlled in a more scalable way, through promotions, challenges, and awards that improve your brand awareness and generate repercussions in the press. SEM or Search Engine Marketing relies on paying to advertise on search engines such as Google or Bing and bait clicks from potential users paying for it. PPC (Pay Per Click) ads allow you to reach users while they’re searching for keywords. SEM tends to work well for people who sell directly to the end consumer by reaching the customer the moment he seeks solutions. What’s important is always following the keywords you use, your click-through rate, and the effectiveness of your ads. Display ads are those banners that you see on the websites you visit on the internet. Social ads already appear on your Facebook or Twitter timeline, for example. While search engine PPC ads seek to satisfy an interest the consumer has actively demonstrated through a search, display and social ads seek to generate demand for something customers did not know they needed. People may not be buying at the moment, but they are always interested in learning new things. Even today, companies are investing more in offline marketing than online. And to grow a business, there are dozens of offline channels that can work on acquiring customers. TV, radio, newspapers, magazines, outdoor signs, are some of the possible examples. These channels can be used in scale, ranging from local campaigns to reaching an entire country. Few startups use this channel, which can mean less competition to reach these audiences. Almost all internet users go to Google to research their questions. SEO (Search Engine Optimization) is about optimizing your site’s pages, so they appear in Google results for these searches. When a site has pages on your site that take away the user’s doubts, search engines tend to give good positions to these pages in the search, which gain wide exposure for an audience they intend to buy. Just like in SEM strategy, these are visitors who are actively seeking solutions to their problems. Having a blog can be a great channel for low-cost acquisition in startups. A content marketing strategy is based on producing relevant content and creating an audience to consume this content. Content marketing allows companies to engage with people, and eventually, these readers end up becoming customers of your company. Email marketing is one of the best tools to convert prospects into customers. Sending an email to your prospects makes them engage directly with your business and read your message. Email is a personal channel and messages from a company appear alongside communications from your friends and family. That is why email marketing is more efficient when it is relevant and personalized. Your programming team can help your startup gain traction by creating tools that help you reach more people. These tools can be calculators, widgets and educational microsites that put your company in front of more potential customers. Hubspot, for example, has created a tool that helps people evaluate and find potential problems on their websites. With this, thousands of people use this tool, end up knowing the company and becoming potential clients. Focusing on appearing on blogs read by your customers is one of the most common strategies to reach your first customers. Startups like the Codecademy, Mint, and Reddit started targeting blogs read by their target audience. The Mint personal finance startup, for example, has focused on niche finance blogs since its inception. By getting these blogs to talk about the company, when they launched the product, tens of thousands of users were already interested in their product. Business Development (BD) is the process of creating strategic relationships that help the company and its partners grow. Unlike sales, when you focus directly on the customer, BD focuses on finding potential partners and joint activities that can benefit both parties. In the process of business development, you need to know how to structure business, find partners and know how to approach them with mastery. In the sales arena, the focus is on creating processes that reach prospects and get them to pay for your product. In many cases, it is necessary to talk and take the potential client’s hand to become a real customer. To scale through sales, you need to know how to create a funnel that generates leads, know how to qualify these leads, and have scalable processes to address and convert them. An affiliate program consists of your company paying other people or companies to sell your product. Companies like Amazon, Zappos, eBay, Orbitz, and Netflix use affiliate marketing as a scalable revenue-generating channel. Affiliate programs, in general, are a high-performance channel for e-commerce shops and signature clubs. Existing platforms are websites, applications or networks with large numbers of users that can be used to generate more traction for your startup. The top examples are the mobile app stores of Apple (Apple Store) and Google (Android Store). Social networks like Facebook and Twitter are also platforms that can be used to find new customers. The effort is based on understanding how these platforms work and how you can convert some of the millions of their users into new customers. Being at a market fair gives you the chance to demonstrate your product in person. Initially, this can be a great channel for generating interest in your product or service. As you grow, these spaces can also be great for announcing new products, features and closing deals with large companies. Sponsoring or creating offline events can be a strong channel for customer acquisition. These events allow you to interact with customers and talk about their problems. This channel can be especially useful when the company’s customers are not fully connected or engage in online advertising. Attracting them to an event, in this case, can be the best way to approach them. This channel works well if you can include an interesting pitch for the people in your talk. If the content takes action, public speaking about your product or service can be a consistent channel to bring new customers to your startup. Eric Ries, for example, promoted his book The Lean Startup (check out the microbook here) through lectures and thus managed to get on the bestseller list. Creating a community involves generating connections between your customers and bringing more people to talk about your business. Wikipedia, for example, has attracted millions of users by creating a community where people contribute content. So did the startup Stack Exchange, which focused on building a developer community. Understanding the marketing channels and having an attack methodology is essential to gaining traction in a startup. This microbook has captured the top 19 customer acquisition channels and brought you a framework called Bullseye to help you prioritize which channels you should choose to grow your business. Always try and find out the best combination for your company.